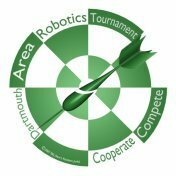 This page is to sign up to edit this War and Peace Robotics wiki and help create a First Lego League Tournament in the Upper Valley. To join this site, you must first get a general Wikidot membership. Then, when you are logged onto Wikidot with your personal password, use the site password (available from any member of this site or from Dave at ten.nozirev|knobapoh#ten.nozirev|knobapoh) to join the War and Peace Robotics site. You will only need to use the site password once.